Ductless air conditioning & heating applications offer Ocala home and business owners a cost-effective way to replace inefficient window units, space heaters and electric baseboard heaters. They can be installed in home additions, new construction, condominiums, and apartments. They are also a great solution to cool individual rooms or custom applications in your home. If you are in need of Mini split ac services including repair, maintenance, or mini split ac installation, call us today! What Are Mini Split AC Units? Mini Split acs offer air conditioning without the need of complex ductwork and a large centrally located air handler. They are compact and mount directly to the wall or ceiling, saving you time and money. They come with a remote and console controls so you can seamlessly adjust temperatures to your preferences. They are ideal for home additions, new construction, condos and apartments! Because of their simplicity, Ductless Air Conditioning units are usually installed in less time, allowing our technicians to get in and out of your home, quickly. It’s important to remember that just because they aren’t as complex, they still require installation by certified professionals. Coast to Coast is uniquely qualified to complete all of your ductless air conditioning needs as a Diamond contractor of Mitsubishi Electric. We have provided numerous customers just like you with exceptional service and expertise on a wide range of products and services. Just because we like to go an extra step for our customers, our customers also receive a free year of our preventative maintenance services with any installation! Ductless air conditioning units removed ductwork from the equation, which makes for a much more efficient ac unit. According to the Department of Energy, “Duct losses can account for more than 30% of energy consumption for space conditioning, especially if the ducts are in an unconditioned space such as an attic”. Mini Splits also allow you to control the temperature of each separate room they’re located in, this is great for families that fight over a thermostat! Because of their small presence in your home and the requirement of only a small hole in the wall, they also keep your home safer. Window and wall AC units leave large potential openings for unwanted visitors to your home. Just like other AC units, Mini Split units should be routinely serviced and maintained to ensure a long, productive life-span. Almost all of our installations come with a free one year maintenance contract. 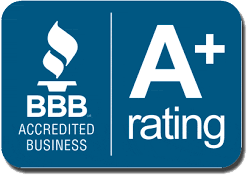 We have certified professionals maintaining our customers air conditioning units year-round. Ask about our Energy Savings Agreement, our preventative maintenance program. It’s second to none, and will help ensure your units a long, productive life.